On Saturday, November 21, Brattleboro’s American Legion Post 5 will honor local soldiers killed in action during the Vietnam War. A ceremony, at the post home on Linden Street, will include students from Brattleboro Union High School reading the names and a brief biography of each of the 11 men, followed by a brief address by Dr. Robert Tortolani, a combat battalion surgeon during the Vietnam War. The soldier biographies, along with family photos, will be posted on the Brattleboro Historical Society website, in succession, in the days leading up to the November 21 event. Today we remember SP4 William Wayne O’Neil. Bill O’Neil was the son of State Representative James E. and Dorothy P. O’Neil. He grew up in Chesterfield, NH with his brother James Jr. and his sisters Judith and Kathleen. Bill graduated from Keene High School in 1967, He enlisted in the Army and was deployed to Vietnam with the First Air Cavalry Division. Bill was assigned to Company D in the 2nd Battalion (Airborne). Bill served with his unit in Phuoc Long. On January 5, 1970 Bill’s company engaged the enemy. “Specialist Four O’Neill pursued the enemy with aggressive military tactics, neutralizing and defecting him. His heroic and valiant actions were often characterized by unselfishly exposing himself to hostile fire under adverse conditions inherent in a combat environment.” For his actions in this battle, Bill was awarded the Army Commendation Medal for Heroism. 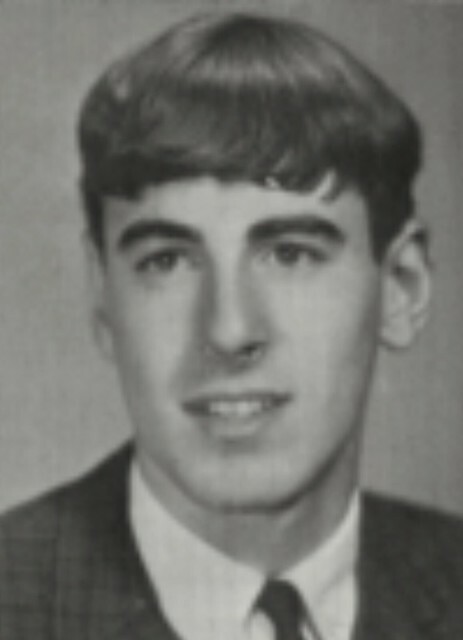 Bill was wounded on January 21, 1970 and he died from his wounds. Today we remember PFC Joseph Rhuben LaRose. Pfc. Joseph Rhuben LaRose is one of the six names that are inscribed on the Vietnam panel of the war memorial on the Brattleboro common. LaRose was born in Rutland on Oct. 4, 1947, and grew up in Chippenhook, a village in Clarendon. He later moved to West Brattleboro to live with his aunt and uncle. He worked at the Royal Diner in Brattleboro for a time before enlisting in the Marines. 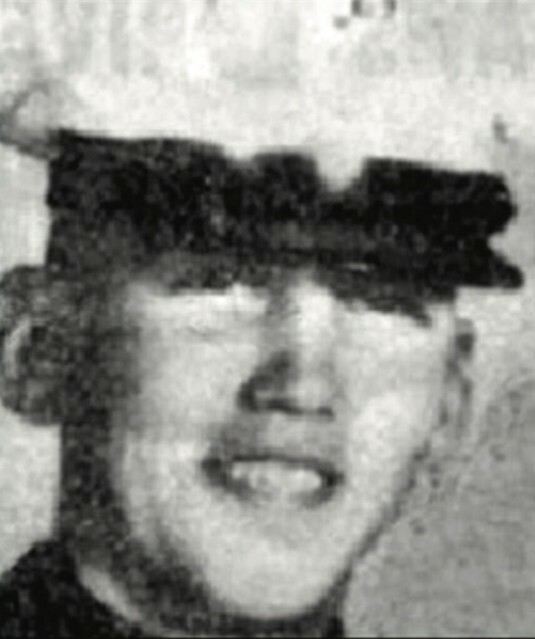 LaRose was one of fourteen Marines that died that night in 1967 during an ambush in the Que Son Valley. Although LaRose is credited to the state of New York in the official database of Vietnam War dead, it was his time growing up in Brattleboro that got his name on the monument. This Week in Brattleboro History – Granite Plant & Valgar St.
PVT Fred CH Frappiea Jr.
Today we remember Fred CH Frappiea Jr.
Fred C.H. Frappiea, Jr. was born in Bellows Falls, to Fred Frappiea, Sr. and Lana Frappiea. His siblings were his brothers James Seymour and Joseph Frappiea and his sister Connie Frappiea. Fred’s aunt Barbara Ann Frappiea resides in Bellows Falls. Fred attended Bellow Falls Union High School and lived in Saxtons River. He worked hard, loved cars and was very popular in the community . He had a kind word for everyone and a ready hand to help one in need. Fred enlisted in the army in 1967 and trained at Ft. Benning, Georgia. He celebrated Thanksgiving 1967 with his family in Saxton’s River. Shortly thereafter he was deployed to Vietnam. Fred served as a rifleman in the Tua Thien Province and was fully engaged with the enemy during the “Tet Offensive” in 1968. Fred died of wounds received in battle on March 22, 1968. Today we remember Darwin James “Tim” Delano. Darwin James Delano was known affectionately by one and all as “Tim”. Tim was the son of Robert (Bob) and Phyliss Delano of Hinsdale, NH. His dad, Bob, served as the Town Treasurer of Hinsdale for 19 years and represented Hinsdale in the New Hampshire Legislature. Tim grew up in the happy and robust Delano family in Hinsdale with his six siblings: Bob, Becky, Jackie, Ken, Duff and Randy. Tim graduated from Hinsdale High School where he was an excellent soccer and baseball player. He also enjoyed candlepin bowling and square dancing. Tim graduated from Burdett College with a business degree. He married Cynthia Gomarlo (who has now passed away). In 1968 Tim was drafted and he served in the Army earning the rank of SP4. During his deployment, Tim and his family were able to send and receive many cards,and packages and Tim was even able to call home a couple of times. 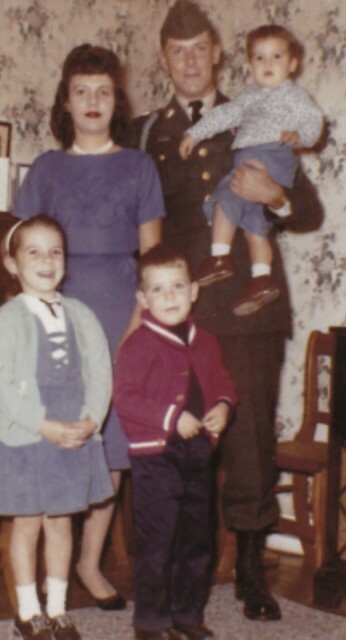 The Delano family followed closely Tim’s participation in the U.S. operations during the “Tet Offensive”. Tim died on November 26, 1968 from wounds he sustained when the truck he was riding in was hit by a land mine. Today we remember 1LT William John Bassignani. Bill Bassignani grew up in Newfane and Brattleboro VT. He graduated from St. Michael High School where he was an excellent student and basketball and baseball player. During his time, St. Mike’s basketball teams won 21 games in the 1960 season and 40 straight wins over a two year period. He then went to UVM. Bill enlisted in the Army and was deployed to Korea. When on leave in Brattleboro, he started to date Anna Friel, the love of his life. Bill was transferred to Ft. Collins and then to Ft. Devens to be near Anna. Bill and Anna were married on June 26, 1965. Sgt. Bassignani was stationed at Ft. Bragg and then selected to attend OCS at Ft. Benning. Bill was commissioned a 2nd Lt. and trained as a helicopter pilot in Mineral Wells TX and received advanced helicopter training at Savannah GA. On December 11, 1968, Lt. Bassignani was deployed to Vietnam. Bill served in I Corps in Vietnam with the 173rd Airborne Brigade. He spent his R&R with Anna in Hawaii. Bill was stationed at Landing Zone English. Pilots were re- quired to fly 85 missions – Bill did many more. His chopper was blown out of the sky by a rocket propelled grenade on August 18, 1969. Bill was killed. In addition to the usual medals, Bill was awarded the Bronze Star and a multitude of oak leaf clusters for his heroism. Bill is survived by his wife who now resides in West Brookfield, MA; his sons Peter and Derek; and grandchildren: William, Gabriella and Joshua. Ernest “Ernie” Eugene Sanville was born November 14, 1943, in Westfield, Massachusetts, the sixth of fifteen children, to Almon and Marie (Frechette) Sanville. There were his thirteen sisters—Helen, Shirley, Dodie, Marie, Irene, Linda, Margie, GG, Darleen, Nancy, Marcia, Carol, and Teresa—and one brother, Gerald. The family moved to Hardwick, Vermont and then to Spofford, New Hampshire. Ernie attended St Michael High School. Ernie had many friends, and his closest were Frank Neveau, Bob Davis, Jack Willette, and Louie Perham.They spent many nights at the local sock hops, bowling alley, and rollerdrome. Ernie also en- joyed hunting, fishing, horseshoes, golf, baseball, and his family, and he loved purple violets and yellow roses. Humble, private, and well liked, he was shy all his life and held a deep religious conviction. He was especially known as a hard worker, and he possessed an uncanny ability to appear at times when a helping hand was needed. He’d considered entering the priesthood, but he later joked with his wife that he’d dismissed the idea because he could never have mastered Latin. On July 18, 1964, he married the former Shirley Bruce, having met her at American Optical, where they were both employed. He also worked at country clubs in both Brattleboro and Spofford. Soon after their marriage, the infamous draft lottery took place, and Ernie’s birthday was one of the first to be drawn. He received a draft notice, and since he couldn’t envision himself carrying a firearm with the intent to kill another human, he enlisted in the navy in the hopes of avoiding combat. Because of the results of his aptitude test, he was sent to the Great Lakes to be trained as a hospital corpsman, though he passed out whenever blood was spilled. From there, he was transferred to a naval base Charleston, South Carolina. There, his first daughter, Deanne, was born. From Charleston, Ernie came home for his final visit before his tour in Vietnam. It was a desperately short month for his parents and siblings as they tried to make the most of their time together. He then went to Camp Pendleton in California for six weeks of training and left for Vietnam in May 1968 with the Marines. He and his siblings corresponded with letters, and he managed to call his wife, who was pregnant with their second child, a few times. For the most part, he shielded his family from the horrors he lived with daily, his letters light and vague and always closing with “God bless you.” In Vietnam, he served with Marine Infantry Rifle Platoons and later with a combined Action Platoon (CAP). As a member of a CAP unit Ernie cared for ill and wounded Vietnamese civilians, as well as wounded Marines. On July 19, 1968, his second daughter, Danielle, was born. He never got to hold this child, because he was killed just forty three days later in Quang Nam, South Vietnam, on August 31, 1968, at the age of twenty-four. When another soldier was ill that night, Ernie took his place on patrol. The soldier in front of him stepped on a land mine, and in a split second, he was gone. Time marches on, and Ernie’s family had to move forward without him. His daughters grew up and gave him ten grandchildren: Daniel Sanville was born to Ernie’s daughter, Deanne, who trained as a teacher. His daughter, Danielle, a registered nurse, has nine children: Like their father, his daughters have deep faith and have raised their children to have the same. Ernie would have been so very proud of them. Semper Fi. On Saturday, November 21, Brattleboro’s American Legion Post 5 will honor local soldiers killed in action during the Vietnam War.A ceremony, at the post home on Linden Street, will include students from Brattleboro Union High School reading the names and a brief biography of each of the 11 men, followed by a brief address by Dr. Robert Tortolani, a combat battalion surgeon during the Vietnam War. Today we remember 2LT Stanley Martin Baker. Stanley Baker was born in Brattleboro, son of Robert and Margaret Baker. He was raised in the “Algiers” village in Guilford. He was educated in the one room school house in Algiers and attended Brattleboro High School. As a young person he became a skilled wood- worker and would later in life make in-laid wooden trays and small tables. He loved animals and as teenager he earned the money to purchase a horse, his beloved pinto named “Lady.” Upon purchase, he rode that horse from Bernardston, MA, to Algiers. His love of music began in his home, where he learned to play guitar. There was no television so many hours were spent playing guitar with his brother, accompa- nied by his mother at the piano. Joined by his sister, all sang. Stan joined the Army in 1956, during his senior year in high school and completed his high school in the service. 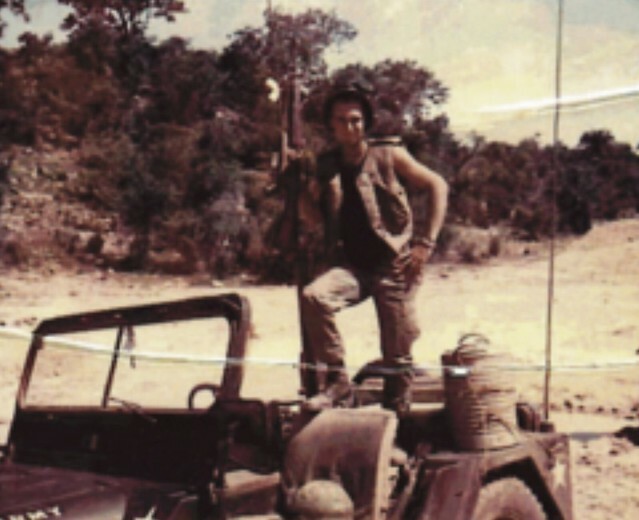 Stan went to Vietnam after Fort Benning and served as a special Forces Team Leader. He died in combat on May 20, 1967 in Kien Tuong Province. In addition to his brother Dennis and sister Bethany, both of Guilford, Stanley is survived by his three children: Sherry Sacchetti, Bradley Baker and Bryon Baker. The Brattleboro Historical Society celebrates the many ages and stages of downtown with a slide show at its annual meeting on Sunday, Nov. 15, at 2 p.m. at its History Center on 196 Main St.
Four years ago, newspapers statewide reported a seemingly insurmountable fire at the Brooks House. This fall, Vermont Life trumpets the building’s resurrection with a “Miracle on Main Street” cover story. The Historical Society program will illustrate how that Main Street change is just one of many over the past years, decades, and centuries. Since its founding in 1982, the Historical Society has worked to shelter and share locally significant facts and artifacts so that present and future generations can learn from the past. The all-volunteer group maintains a History Center at downtown’s Masonic building (open Thursday and Friday, from 2 to 4 p.m., and Saturday from noon to 3 p.m.), a Municipal Center research/resource room (open Thursday from 2 to 4 p.m. and Saturday from 10 a.m. to noon) and the Jeremiah Beal House in West Brattleboro.